Apologies to Fanon for riffing on his famous words, but my second reflection on the genre of farm games emerges out of a consideration of racial themes. 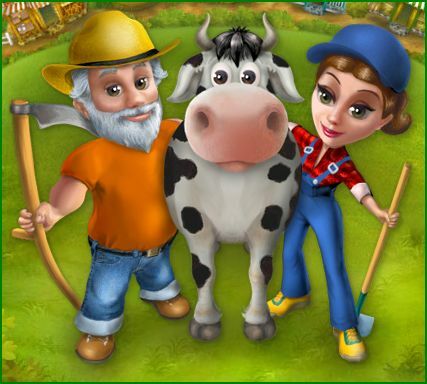 Frankly, I’m shocked at the giant, no, football-field-sized disparity between these games’ happy-go-lucky representations of farm work and the actualities of agricultural labor here in the United States. All the virtual green pastures and cheerful faces I’ve been seeing don’t mesh at all well with the thought of seasonal, migrant workforces exposed to a wide range of abuses, from health risk and lack of medical insurance to extreme poverty and cultural isolation. Migrant farmworkers constitute almost half (42%) of the population employed in seasonal agricultural work in the United States. The majority of farmworkers (70%) are foreign born, and of those, 90% are Mexican. In California, about half of the estimated 1 million farmworkers are migrants, and as many as 98% are Mexican. [. . .]. According to the National Agricultural Workers Survey, the farmworker population in the United States is predominantly (80%) male and young (two thirds are younger than 35 years). However, most farmworkers are married and have children. They are also poor, with a median personal income between US $2500 and US $5000, but despite these meager earnings few use publicly assisted social services. 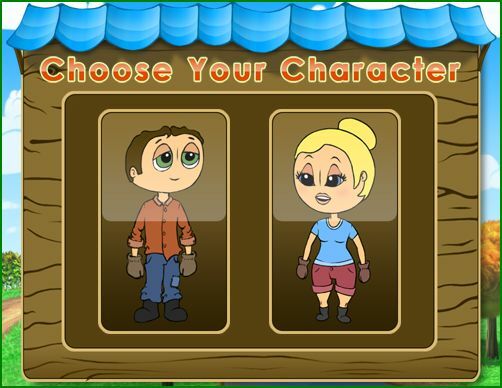 Left: Scarlett of the Farm Frenzy series; right: Maggie the farming witch of Fantastic Farm. 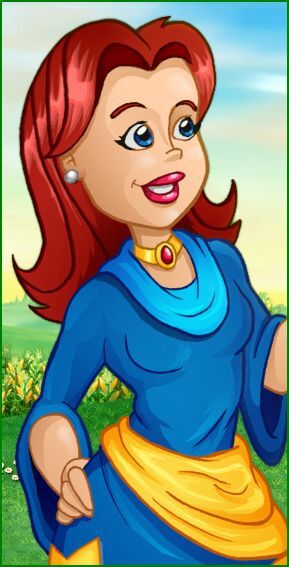 From L to R: Ginger Agronovich of the Farm Craft series, Farmer Jane, and Anna of Farm Mania. 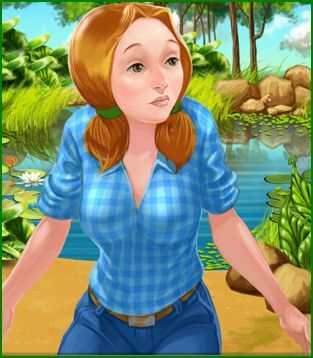 If we were to extrapolate from these examples, the formula for a catchy farm game seems to involve some combination of overalls and plaid shirts, no-nonsense but ever-so-cute ponytails and pigtails, and preferably both pouty lips and delicately arched eyebrows. But what is by far the most striking to me is the complete absence of brown skin–in fact, these fair-skinned ladies sport nary a freckle or sunburn even after slaving in the hot sun for months on end. They must be using SPF 70. Menfolk are few and far between in these games, presumably because the games are targeted at the growing audience of female “casual” gamers. When men do appear, they are generally relegated to the status of “sidekicks” or helpers. Often, the narrative demands that the sassy, young heroine returns to the family farm in order to save “gramps” or some elderly relatives’ homestead from ruin, neglect, and yes, even the relentless machinations of global agribusiness. As wonderful as the Ginger v. Goliath plots are (down with automation, up with community-based farming! ), I’m tempted to describe these games as covert forms of wishful thinking designed to suppress the messier, less palatable aspects of our agricultural industry. 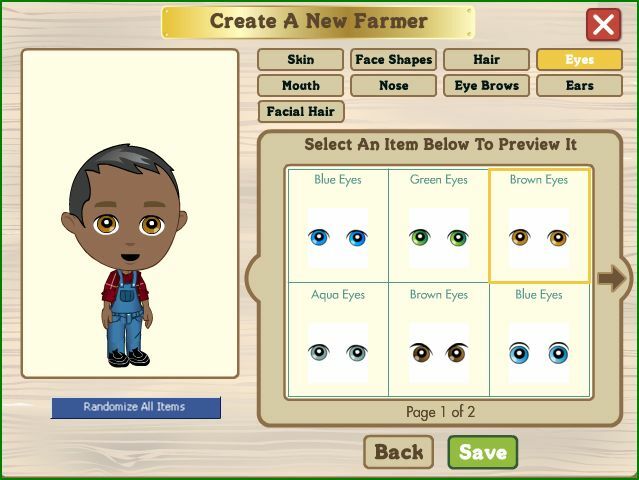 In these games, farm life is hard work, but always rewarding (and profitable! ); the work is voluntary, not forced upon you by unemployment or transnational labor crises; and the work is often done singlehandedly or with the help of at most one relative or a handful of workers. In recent years, an increasingly diverse farm labor pool has come to California from Latin America and Asia. Among these are indigenous people such as the Hmong from Southeast Asia, the Mixtec and Zapotec from Mexico, and the Maya from Guatemala. Now if only they didn’t look so happy.